Unlike many other golf courses, Byrncliff is a resort and as such provides all inclusive stay and play packages that have been popular for over 50 years! Tucked in the valley, just 35mn south of Buffalo, you will experience a relaxing escape from the hustle and bustle of the everyday. 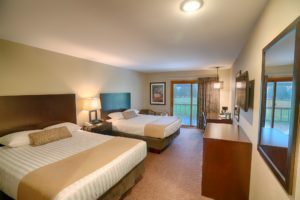 After a day of golf, rejoice in knowing you get a delicious meal, can take a dip in the heated pool or hot tub, or play a fun round of mini-golf under the lights.. Here are Stay and Play Restaurant Menus - note: choose any one item + one Dinner Salad or cup of Soup du Jour. Coffee, Tea & Soda included. Some upgrades apply.